White’s corner lot next to the palace saloon is being graded for a shooting gallery. The Eye, December 22,1892. 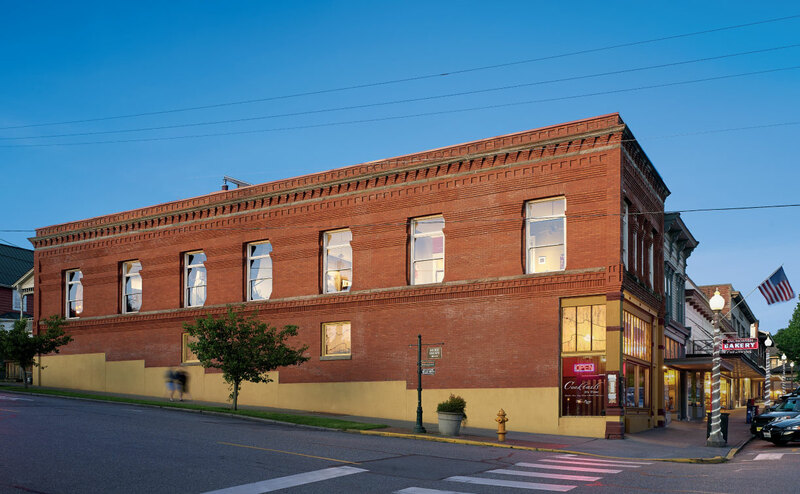 Time has become years since I first saw the White Building basement — it was within days of reading the news of a “shooting gallery” in Snohomish’s 19th-century newspaper of record. The long basement room was dark and empty except for a grease collection container. I didn’t bring a camera or a flashlight, always meant to return better prepared. So you can imagine my surprise when I finally returned and my host, the prep cook, Mitch, hit the light switch at the bottom of the stairs filling the basement with light. The once level floor had mounds of dirt from adding footings for the posts with beams supporting the thick joists resting on the original granite foundation. Now the basement was a handy place to store a variety of restaurant supplies. There was a short row of sparkling water glasses on a plank sticking out of a scrap pile. Evidence of an interrupted story. Speaking of which, there is no sign that the room was once a shooting gallery, even though it was certainly excavated for one as the paper reported. Plus, there is no mention of a shooting gallery in the papers, not even an advertisement. Next month will feature the large room on the second floor intended to be a hospital! Would have been close by for shooting gallery accidents, but alas, neither came to be. So excited to report: July 13, 2017, is the release date for our book J. S. White Our First Architect, and the date of our Gala Garden Release Party for Angels and Publishers of the fine art book. July 13 is the 172nd anniversary of White’s birth in Tamworth, New Hampshire. 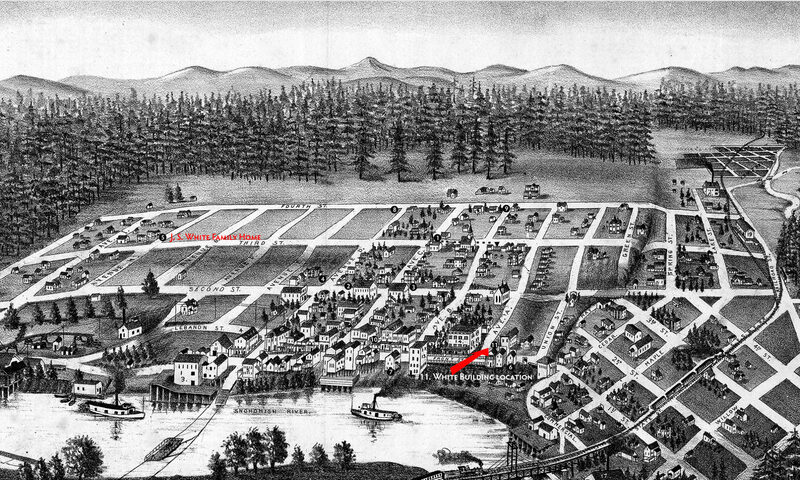 White lived for 75 years, 36 of them in Snohomish. If you would like to attend our release party but have yet to make a tax-deductible donation, this offer is for you: Contribute $75, come to the party and pick up your gift of the book personalized for you or yours! We need raise only $5,000 more to pay off the $21,000 cost of producing the book — your generous contribution will help. Contribute online or by check, details are here. Next PostNext Video: First Look!